Sinn Féin leader Gerry Adams says he will retire next year after 34 years as chief of the Irish nationalist party in Northern Ireland and the Republic. 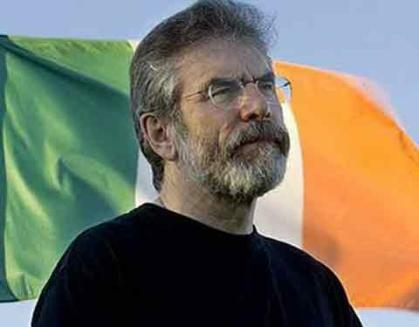 Adams was first elected Sinn Féin leader in 1983, midway through The Troubles, when the party operated as the IRA’s political wing. As such, he became “the face of the IRA” for many in Britain and Northern Ireland. But he remained in the position through the peace process and Good Friday Agreement of 1998. Adams spent most of his career as an abstentionist MP representing West Belfast. In 2011, he moved to the Republic and won a seat in the Dail representing Louth. His retirement announcement comes at the end of a year that began with the January resignation of political partner Martin McGuinness as First Minister of the Northern Ireland Assembly, the nationalist-unionist power-sharing government. That decision resulted in the Assembly being dissolved for new elections, but months later the body has not yet been restored. McGuinness died in March and was replaced by Michelle O’Neil as Northern leader. Mary Lou McDonald is widely expected to replace Adams. Adams said he and McGuinness had agreed to an exit plan last year. “Leadership means knowing when it is time for change and that time is now,” he said during his announcement. This entry was posted in Northern Ireland, Politics and tagged Gerry Adams, Good Friday Agreement, Martin McGuinness, Sinn Féin on November 18, 2017 by admin.